In today’s digital world, people are connected socially via Facebook and professionally via LinkedIn. Even gamers and music lovers are connected via Zynga and Spotify. If families could be connected such that their medical histories were linked, experts estimate that we as a society could save millions of lives and hundreds of billions of dollars. Even Larry Ellison and Larry Page, thought leaders in this new information age, have both have publicly proclaimed the need to connect medical records. The family is genetically linked – illnesses that happened to older generations are known to be likely to happen to younger generations. 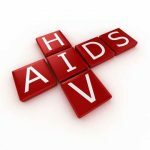 Knowledge of past illnesses in ancestors and can be a very powerful way to prevent diseases and complication in younger generations. ZibdyHealth is built to help subscribers regain control of their health information and use the health and wellness knowledge available within their networks. Even though linking family members and caregivers together is a core feature of our application, ZibdyHealth allows users to decide what to share, who to share it with and how much to share (http://youtu.be/mEDVvQmg3YQ). If an uncle has recorded that he reacted badly to a medication, when you enter or scan in the same medication (or a medication containing the same active ingredient), you are warned of his problem. 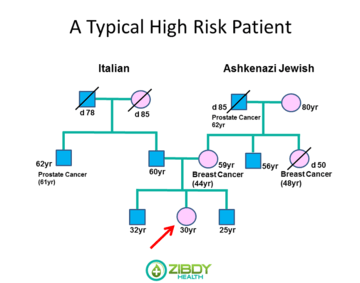 The Associations feature of ZibdyHealth allows you to bring your family medical history together in a “family-sourced” manner. By connecting family members who have ZibdyHealth accounts the entire family immediately obtains key advantages. Associations are built using the “Invite” function. This sends an email to whoever you enter, and invites them to join your network. You can invite family members, indicating the relationship (daughter, brother, mother, uncle, etc.). They will then get an email with a link to click. 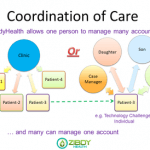 This will allow them to either connect their existing ZibdyHealth account to yours, or – if they do not have an account – set one up, and it will be connected to your automatically. Each family member can then record their own medical information, and ZibdyHealth builds the family medical history from that information. For dependants, the Associations feature allows users to set up sub accounts very simply. These associations exist only within the account where they were created. Children under 18 years can only have these types of accounts, managed by their parents. The parent can then convert the account into an independent account along with all the information saved by the parent once the child reaches 18 years. ZibdyHealth’s Permissions feature allows all users to control exactly how much of their information is made available to others in their family network, so there should be no fears that sensitive information would be revealed. When two users connect they initially can only see their names on the “Association” page. They next need to grant access to the information in their respective accounts, and the amount and type of information shared can be decided by the user. This feature can also allow you to rapidly share or un-share medical data with their family. Information curated properly from family medical history is far richer than genomic sequence data but together both approaches are simply the best! For more information watch our video “Family Health on ZibdyHealth” Tutorial Videos. Please do not forget to let us know what features you like and what else you will like us to include in future release. You can always reach us at support@zibdy.com. Zibdy Inc., © 2012-2019. All rights reserved. We are a team who decided to change the way patient health information is gathered, stored and shared. We believe that healthcare is a global issue and it should have a global solution.